In a race where choosing sides is key, the crew aboard Hap Fauth&apos;s 69-foot Mini Maxi Bella Mente used their gut instinct and flawless teamwork to win the Storm Trysail Club&apos;s 65th Block Island Race. The 186-nautical mile race began May 28, and sent Bella Mente and 95 other IRC- and PHRF-rated boats off on a course from Stamford, Conn. (home of host Stamford Yacht Club), down Long Island Sound, clockwise around Block Island (R.I.), and back. 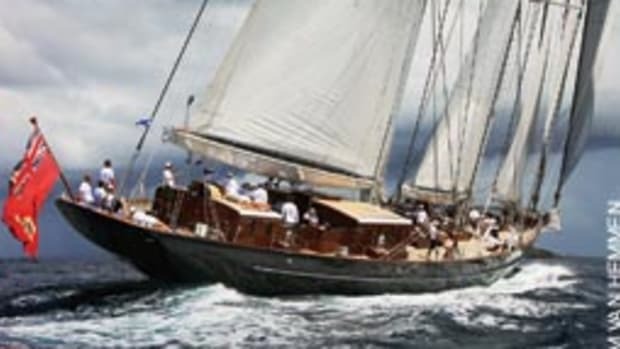 Choosing Plum Gut over The Race on the way to Block Island and then again coming back, proved critical to Bella Mente taking line honors after almost 19-1/2 hours of sailing. 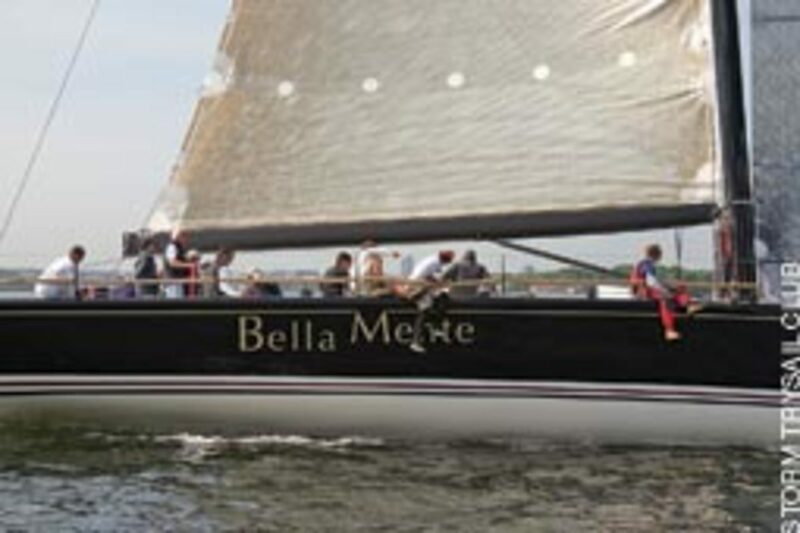 Bella Mente - from Minneapolis/ Newport, R.I. - finished nearly 23 hours ahead of her competitors. Plum Gut and The Race are 60 miles away from the start and there is a 20-minute current change between the two (The Race starts earlier). 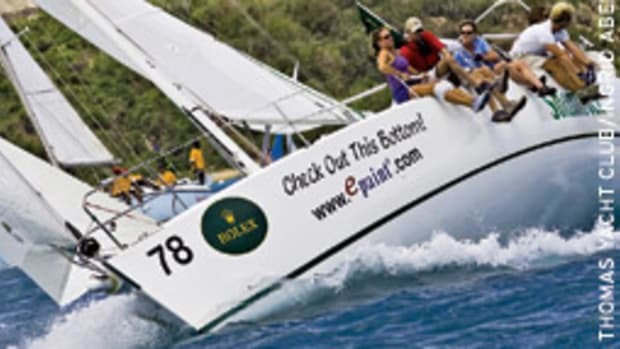 David Dickerson&apos;s Peterson 38, Lindy, from Waterford, Conn., turned in best corrected and elapsed times for the PHRF fleet, earning Dickerson both the Terrapin and Governor&apos;s Race East trophies for best corrected and best elapsed time PHRF. Best performance by a double-handed boat went to Ty Anderson and Eric Kreuter&apos;s Farr 395 Skye from Riverside, Conn., earning them the Gerold Abels Trophy. Bella Mente won the Governor&apos;s Race West Trophy for best IRC elapsed time, the William Tripp Jr. Memorial Trophy for best IRC corrected time, and the Harvey Conover Memorial Overall Trophy, awarded to the boat that has won her class and, in the judgment of the flag officers and race committee, had the best performance. 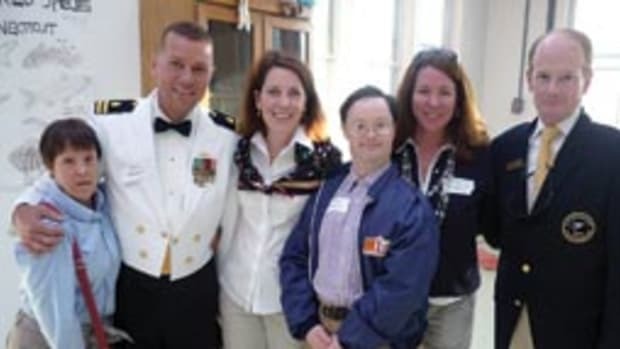 New York Yacht Club will host a new event this summer. The America&apos;s Cup 12 Metre Era Reunion will take place Sept. 16-19 in Newport, R.I.
During the 12 Meter era (1958-1987), more than 83 teams competed as contenders or defenders for the 10 America&apos;s Cup matches. The America&apos;s Cup 12 Meter Era Reunion will be a celebration of the yachts, crews, syndicate members and the times, according to organizers. 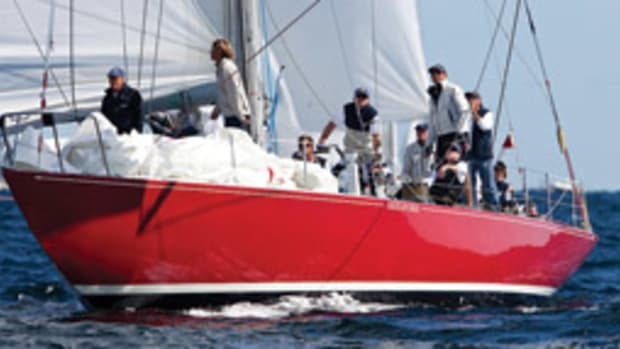 Headliners expected to attend the America&apos;s Cup 12 Metre Era Reunion include Ted Turner, William Ficker, Buddy Melges, Ted Hood and Halsey Herreshoff. Regatta co-chairs include 12 Meter veterans such as Gary Jobson, Jeff Neuberth, Jan Slee and Tom Whidden. As part of the event, the Herreshoff Marine Museum will be holding its 17th America&apos;s Cup Hall of Fame induction ceremony, presented by Rolex Watch USA. Jobson will also premiere his production of the "12 Metre Era Retrospective" and will be capturing the Reunion events for another video to be shown on ESPN Classic in November. A total of 230 sailboats entered the 39th annual Figawi race Memorial Day weekend, which saw 15- to 20-knot southwest winds and a steep Nantucket Sound chop of 3 to 5 feet from Hyannis to Nantucket. The sailors started off in a solid overcast sky, but the sun broke through midrace. Monday&apos;s race back to Hyannis saw a total of 41 entries compete in a light easterly that built and clocked during the day to a 12- to 14-knot southeasterly, lifting those who favored the westerly side of the course onto a direct line to Hyannis. 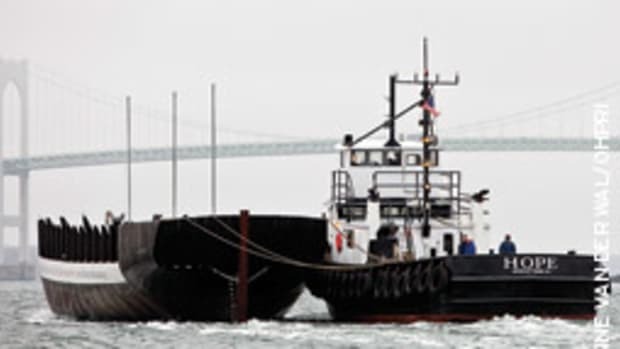 A) Michael Damelio&apos;s Denali from Marblehead, Mass. ; B) Jeremy Pochman&apos;s Equus from Nantucket, Mass. ; C) Jim Flanagan&apos;s Southern Dream from Marblehead, Mass. ; D) Joseph O&apos;Loughlin&apos;s Tabu from East Dennis, Mass. ; E) Bruce Robinson&apos;s Eider Down from Littleton, Mass. ; F) Robert Giordano&apos;s Great Day from Sturbridge, Mass. ; G) Brett Berkley&apos;s Imagine; H) Fred Mesinger&apos;s Summer Dreams; K) Marc Fater&apos;s Nepenthe; L) Fred Trezise&apos;s Freya; M) Gerry Panuczak&apos;s Secret; N) Charles Prefontaine&apos;s Helios; and S) Christopher Beane&apos;s Vixen. In the return race to Hyannis, the winners by division were: 1) Nick Judson&apos;s Clio; 2) Judy Sanders&apos; Jag; 3) Jeff Dowling&apos;s Trust Me; 4) Bob Cicchetti&apos;s Defiance; and 5) Charles Prefontaine&apos;s Helios. 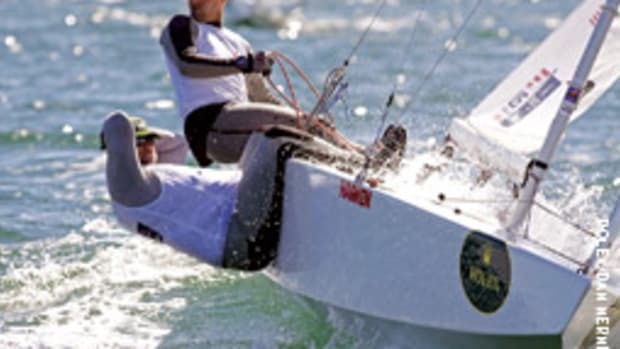 The end of the spring semester signaled the start of the ICSA championship season and St. Mary&apos;s College, Boston College and the College of Charleston took titles back to campus this year. 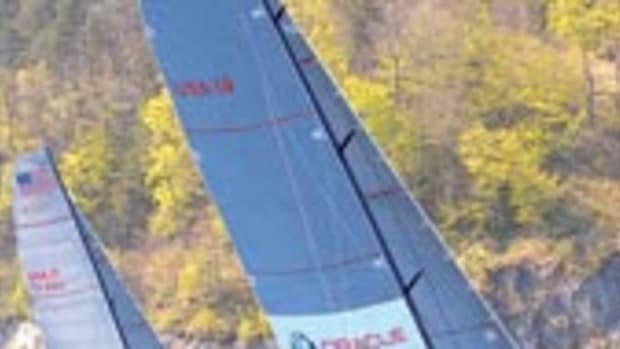 For the first time in the school&apos;s history, Boston College won the ICSA/ Gill national championship after taking and holding the lead in the competition through the first two days of racing on Lake Mendota in Madison, Wis. Before this year, the championship title changed hands between 19 schools. BC&apos;s final score of 127 points reflects 88 points from A-Division plus 39 from B-Division. Harvard took second place overall and Brown and St. Mary&apos;s, the defending champion, finished third and fourth. During the three-day Memorial Day weekend, the top 14 schools in the nation - as determined by their performance in one of the seven ICSA conferences - were in America&apos;s heartland racing for the 2010 ICSA/APS team race national title on Lake Mendota. And for one team, St. Mary&apos;s College, it was a reversal of fortune from 2009 when the Seahawks lost this championship on a tiebreaker. This year, St. Mary&apos;s came back to win this year&apos;s contest on a tiebreak against Boston College. Georgetown finished third. The win marks the fifth time the Seahawks have clinched this unique championship, which pits each college&apos;s three-boat team against another&apos;s in a round-robin series of matches. After two days with no breeze and no races completed for the semifinal round of the 2010 Intercollegiate Sailing Association&apos;s women&apos;s national championship, the conditions on Lake Mendota turned around just in time for the first day of the race for the championship crown. 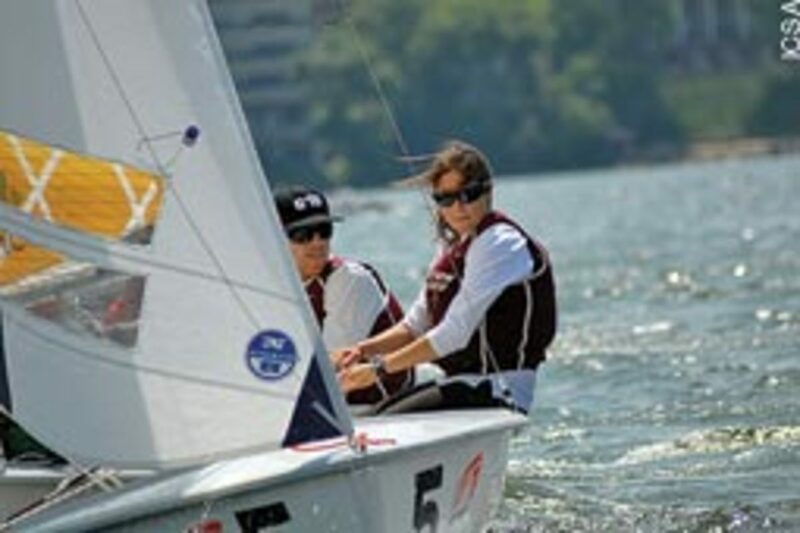 Bringing its "A" game was College of Charleston, which was dominant in A-Division through the efforts of senior skipper Allison Blecher of Fullerton, Calif., with sophomore crew Alyssa Aitken of Sandwich, Mass. Seniors Shannon Heausler of Tampa, Fla. and Rebecca Bestoso of Erie, Pa., sailed B-Division for Charleston. The Cougars led the scoreboard with 59 points and a 35-point cushion over second-place Boston College. Tufts University rounded out the top three. This article originally appeared in the New England Home Waters section of the August 2010 issue.